Guess I'm in the mood for Valentine's Day. 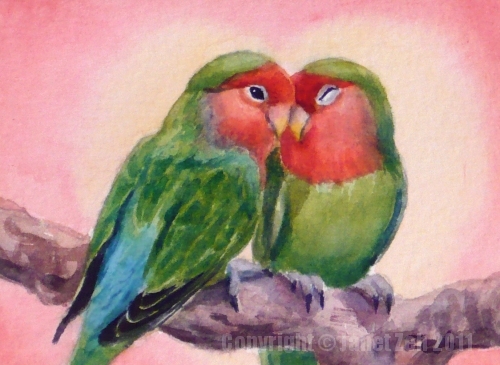 The bird series takes a detour from winter birds with this colorful painting of two affectionate little parrots. 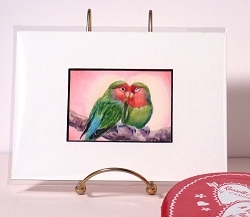 There are many kinds of lovebirds of different colors. What characterizes them is how much time they spend sitting close to each other and the fact that they remain a faithful pair for life. I love the way they nuzzle their heads together - so sweet.